From improving your Microsoft Excel skills to learning about network security or embarking on a career in IT management, we offer a range of learning so you can study at short course, TAFE, degree or postgraduate level. Gain the skills to take your career further. VU ranked among the state's best universities for our innovative computer science subjects. specialist: CISCO, Microsoft Server, Enterprise Resource Planning Systems, web development. Develop the foundation skills to understand basic networking concepts and digital security with this introductory course from VU Polytechnic. Gain data cabling knowledge in electrical classification, rules, data and telephony installation techniques, dossiers and related mandatory documentation and inspections. Gain the skills and knowledge to work in the IT sector as a specialist or as part of a team with a Certificate IV in Computer Systems Technology. Develop the knowledge and skills to work in one of the fastest growing sectors, the Cyber Security and IT industry. Gain the specialised knowledge and skills to work in the growing general communications and communications technology (ICT) industry. Develop the skills and knowledge in a range of information technology fields allowing you to progress your qualifications and career in information technology. Our Bachelor of Information Technology (Professional) teaches the latest in network and systems, and web and mobile app development, and offers a 12-month paid internship in the IT industry. Enhance your professional experience with a Graduate Diploma in Business Analytics from a world-leading ERP systems (SAP) education provider. Launch a rewarding career in business analytics – combining your ICT skills with business knowledge and SAP systems expertise. Become an industry leader in enterprise resource management planning (ERP) systems with VU's Master of Business Analytics (Professional). Build on your professional experience in business systems and SAP, with VU's Graduate Diploma in Business (Enterprise Resource Planning Systems). Develop the computing and business skills to implement and maintain Enterprise Resource Planning (ERP) systems and understand their implications on business. Build on your prior grounding in information technology with skills and knowledge in the practice of cyber security. The course content covers the essential areas of cyber security, from proactive cyber threat detection, risk management to cyber law and regulations. This course focuses on the main SAP processes including production planning, materials management, sales & distribution, accounting and human resources. Achieve a lucrative position as a SAP specialist in the growing world of digital-resource management, with our world-class Master of Enterprise Resource Planning Management. I have been able to apply everything I learnt at VU in my previous and current roles at Telstra - from security to networking and now infrastructure engineering. The vendor technologies taught at VU are industry current, and the exposure gave me a great head start. 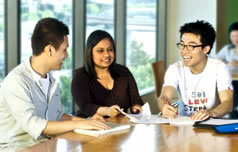 Discover the range of Enterprise Resource Planning (ERP) Systems courses from Victoria University. Gain the skills and knowledge of information technology applications needed to work in the field of network and systems computing.